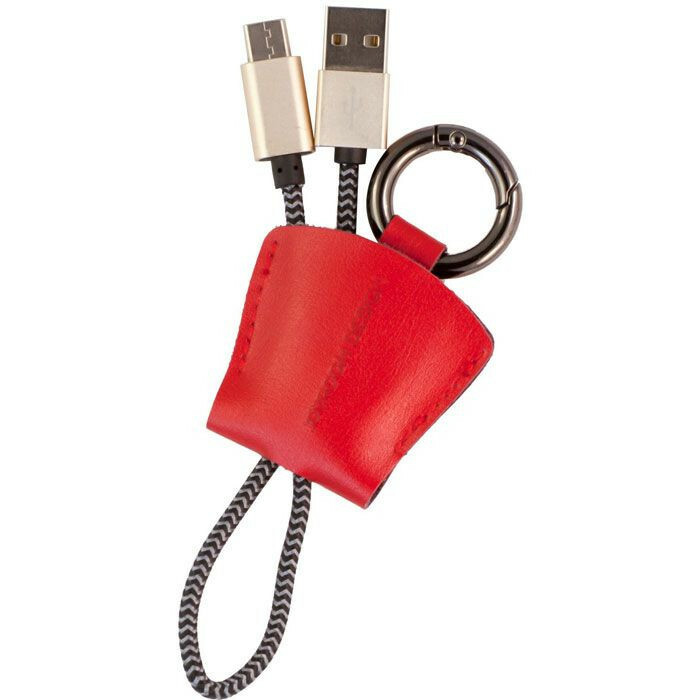 A Unique and Prevailing combination of data cable and Key Ring. 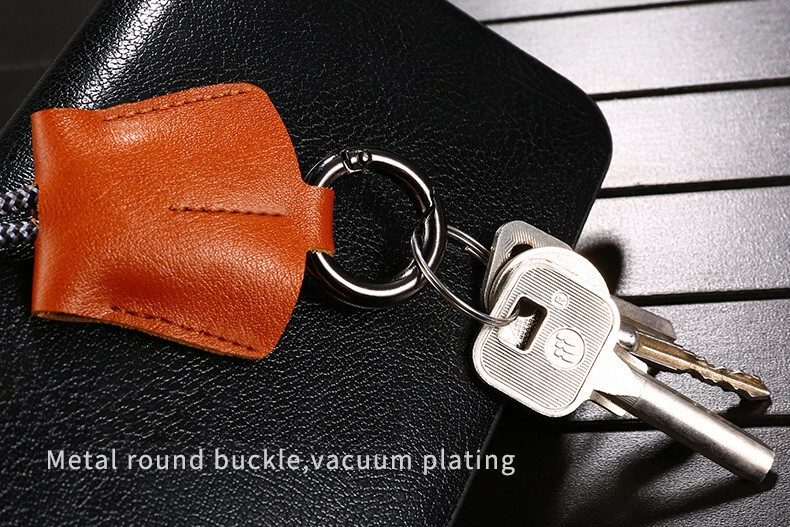 Easy to buckle on the purse, bag, suitcase, backpack, key ring or anywhere. 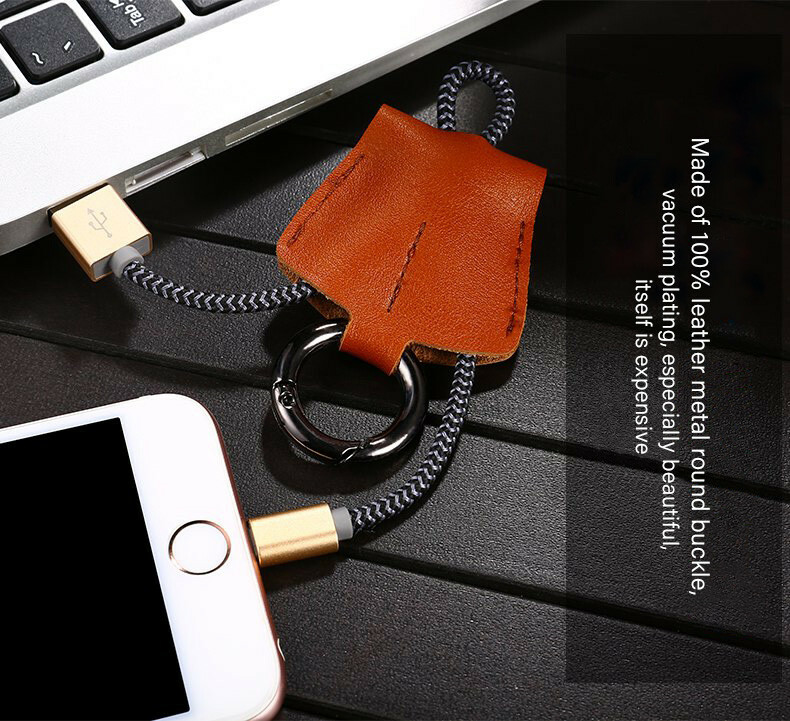 Function 1: charging cable and strap Metal Keychain. 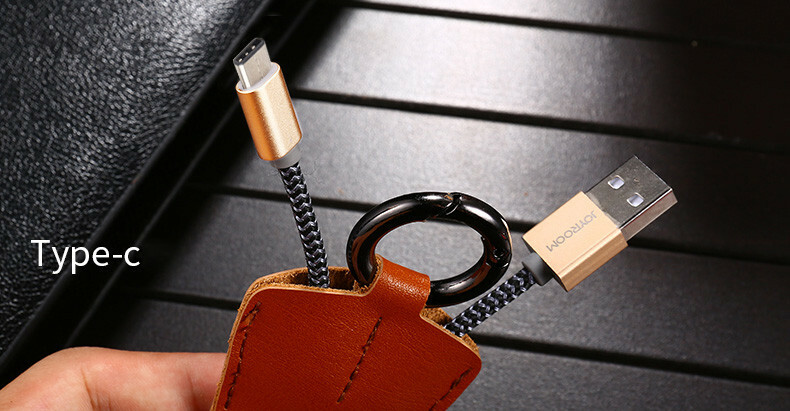 Cable is covered with silver and black yarn. 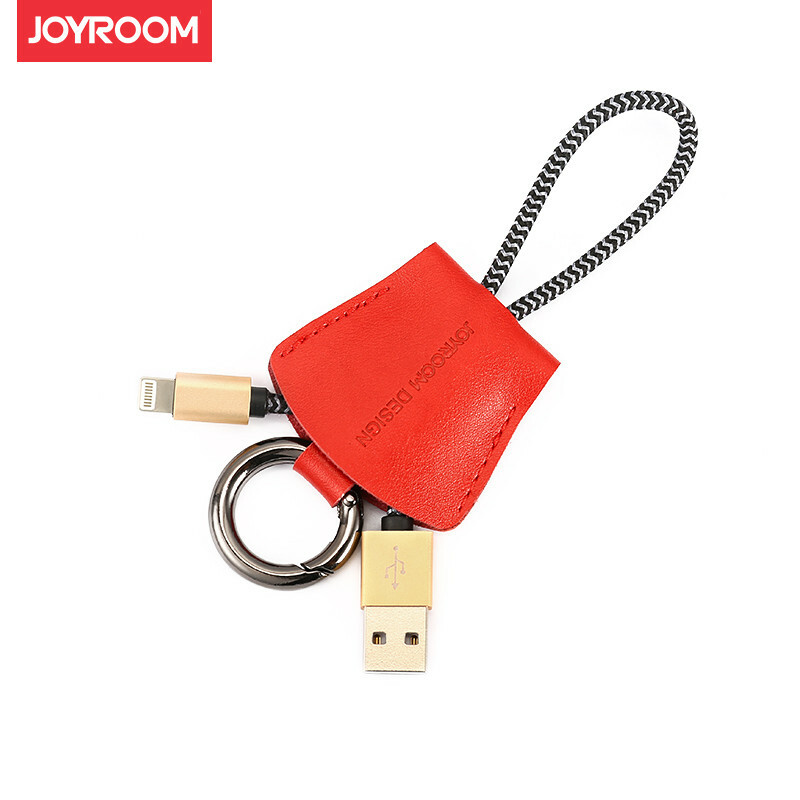 An attractive Joyroom design is carved on the key ring. 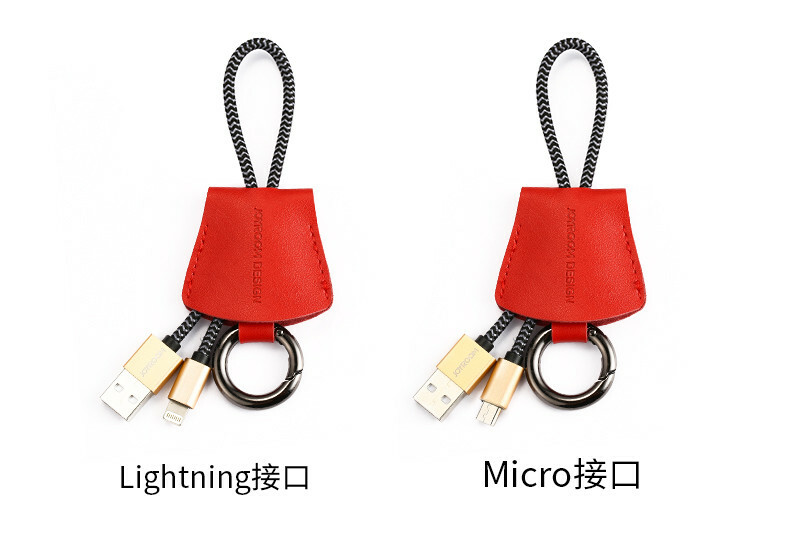 It Can be Used both as LIGHTNING Port and MICRO USB Port Cable. 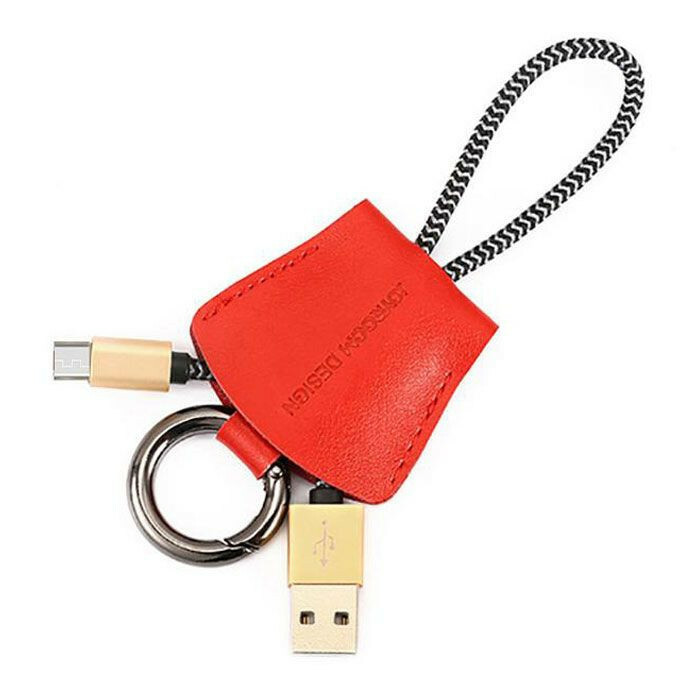 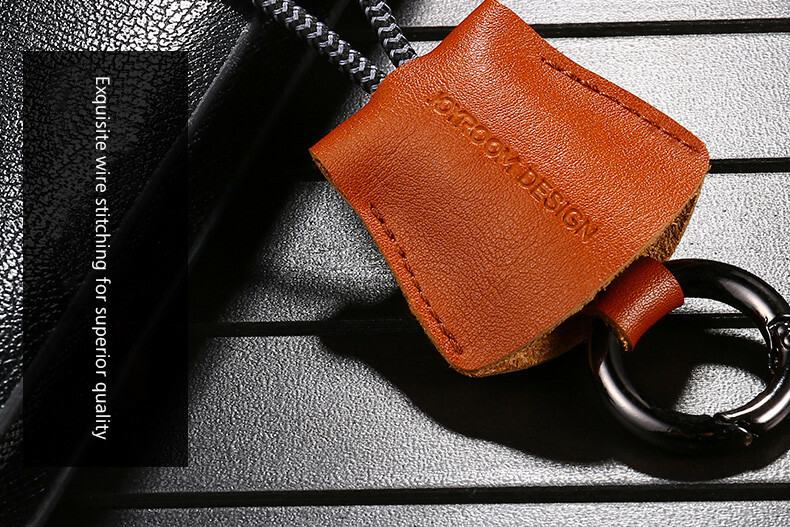 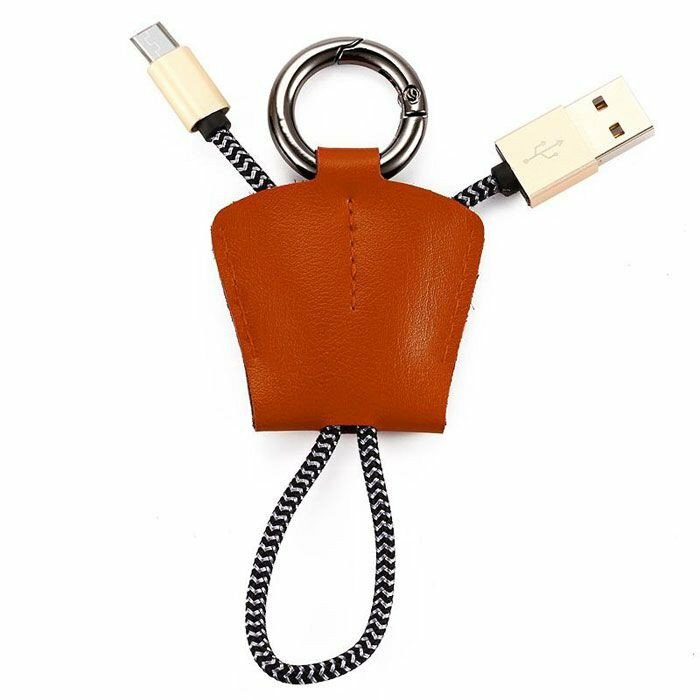 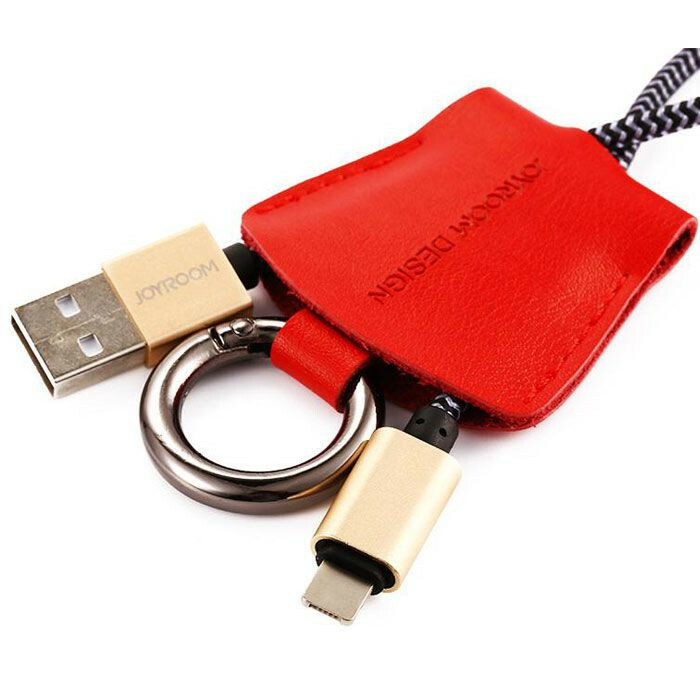 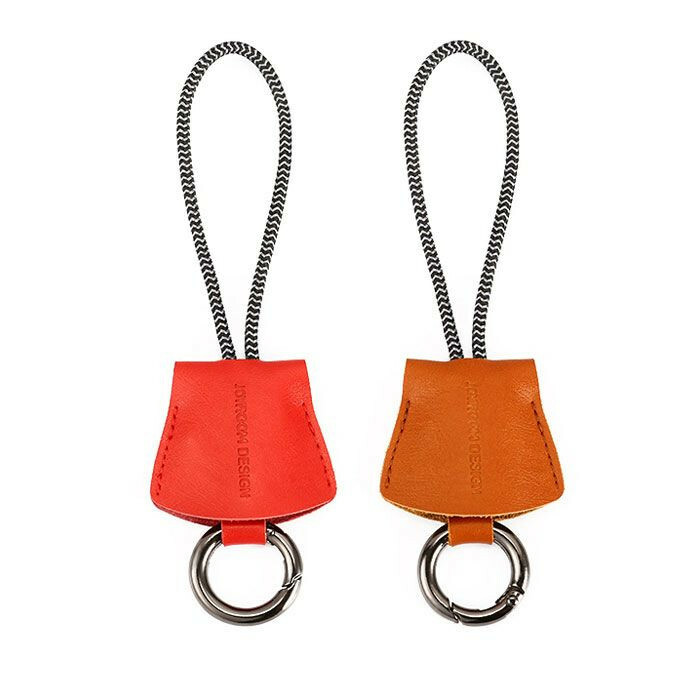 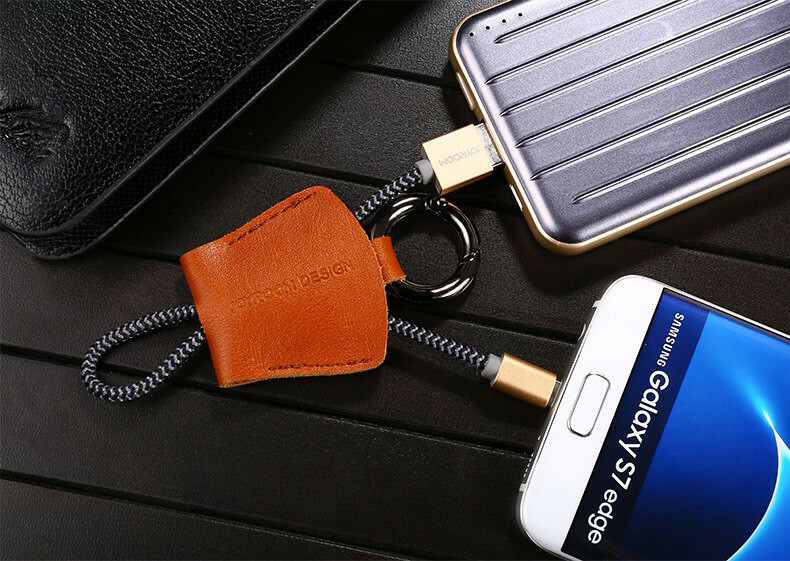 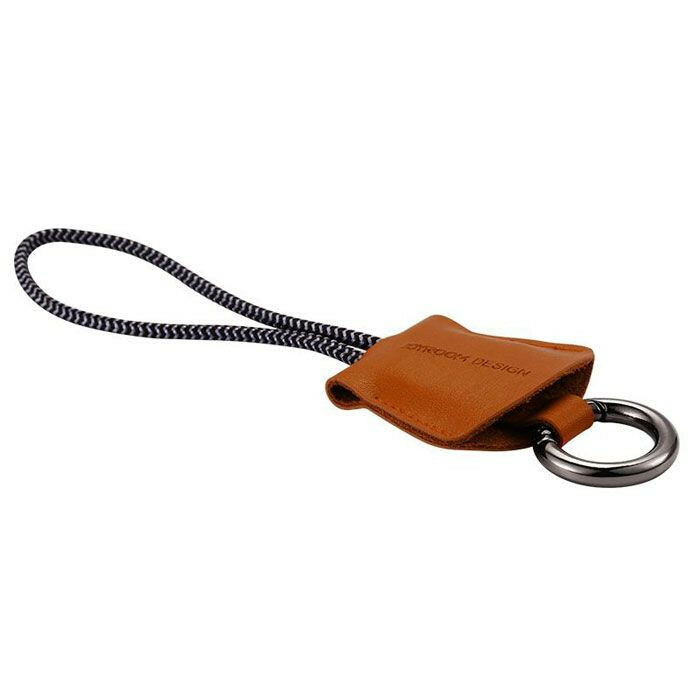 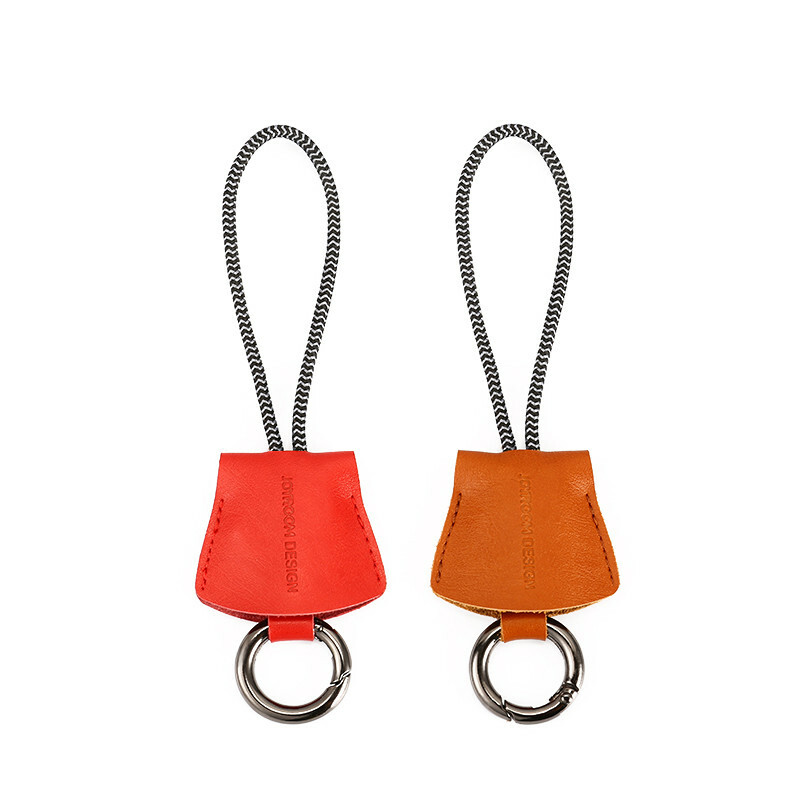 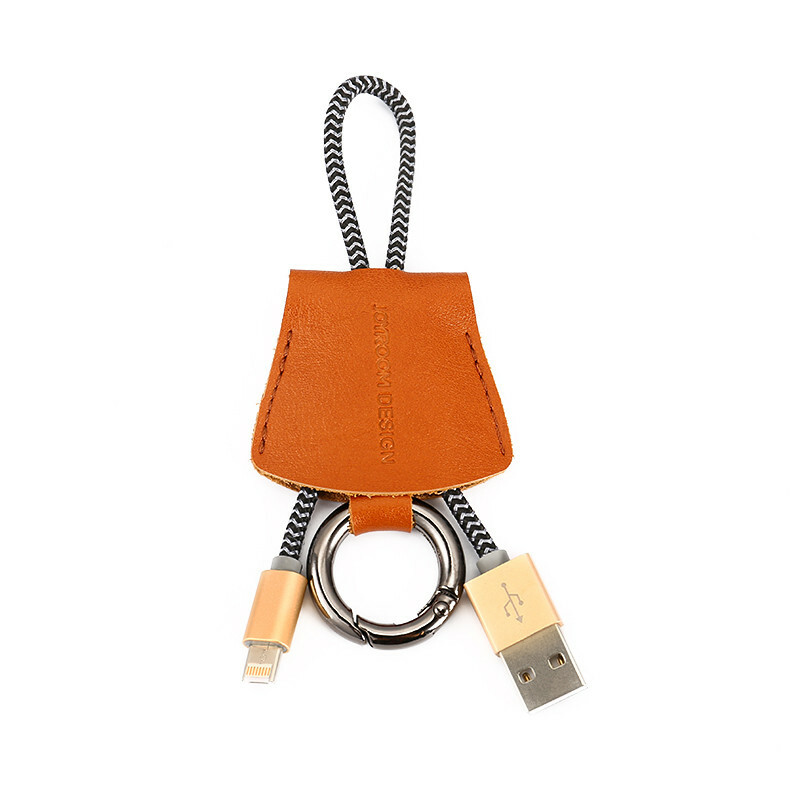 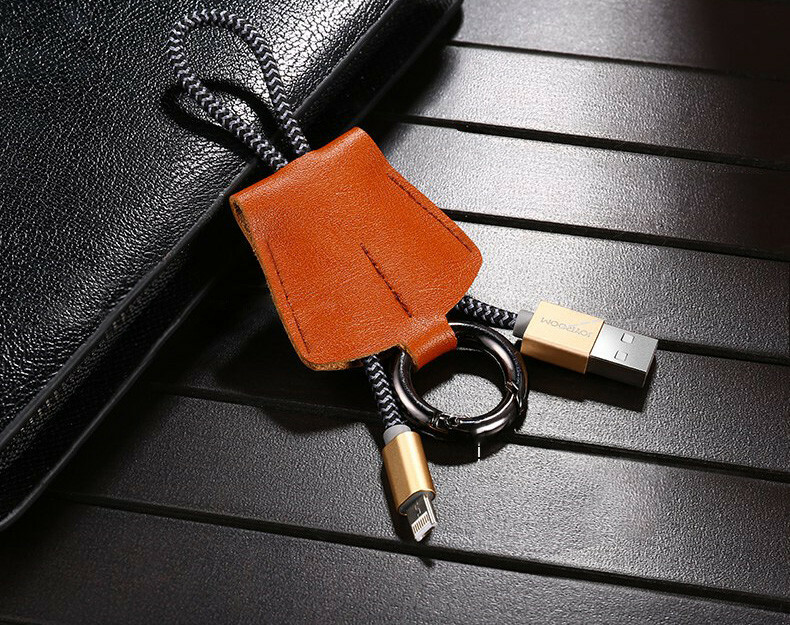 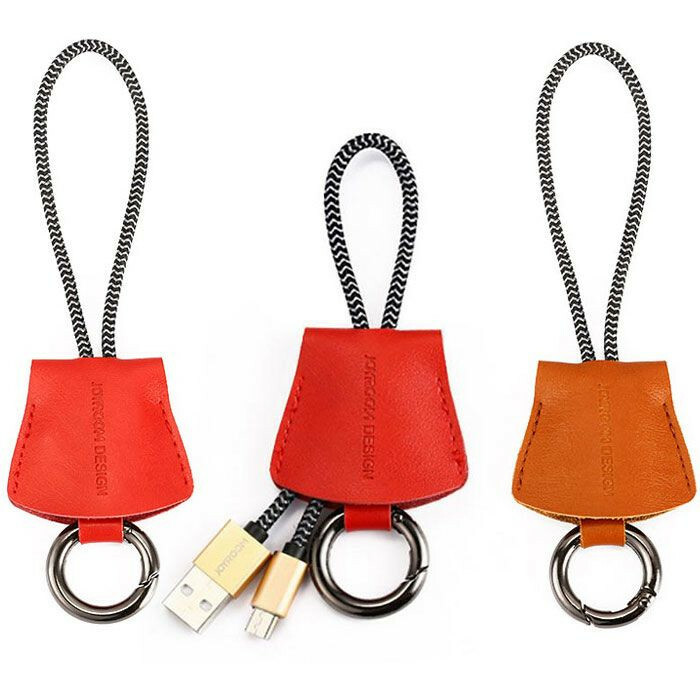 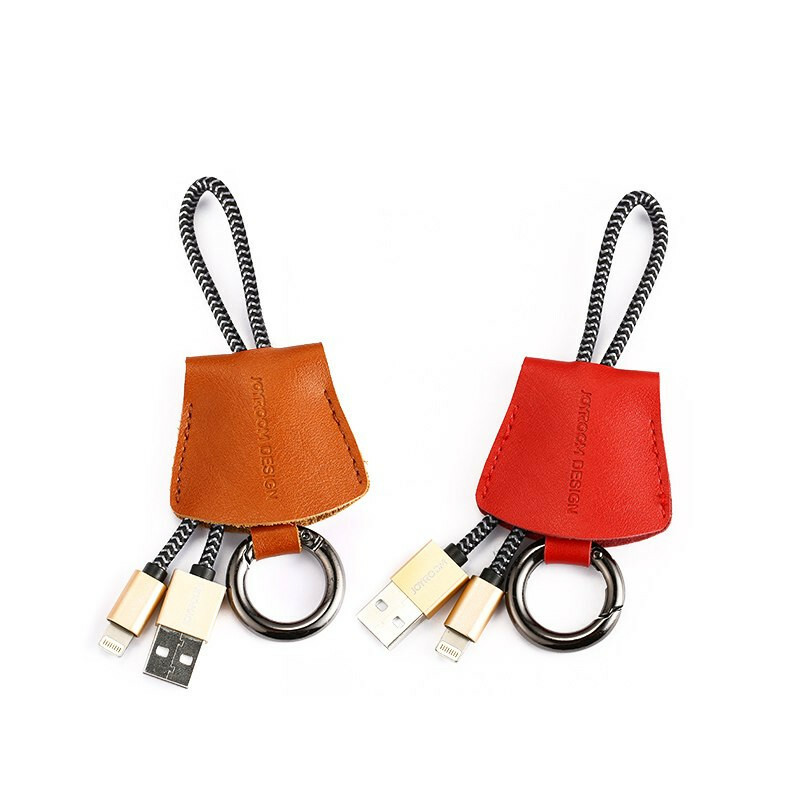 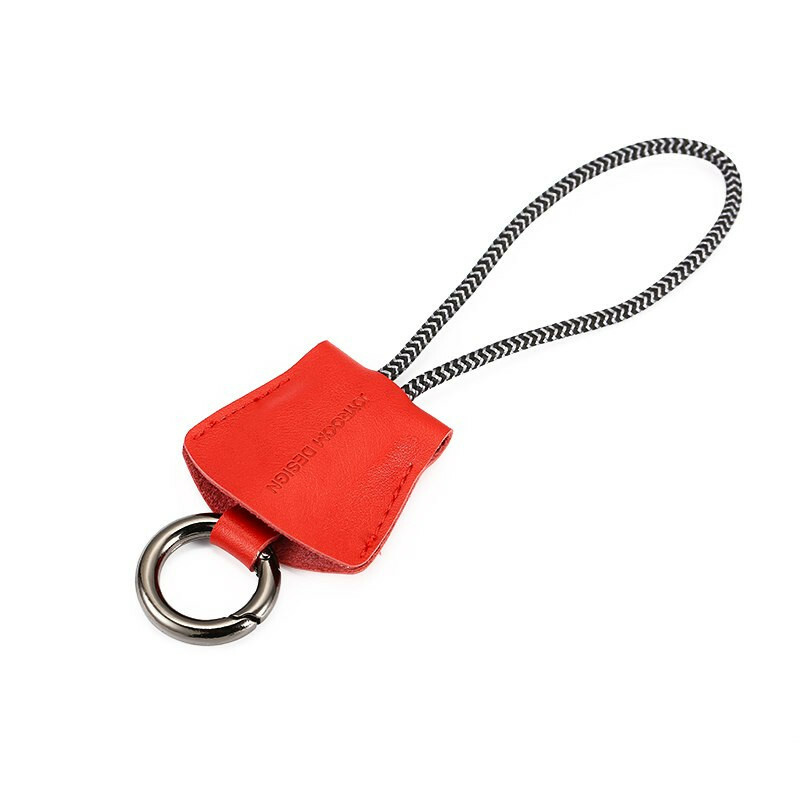 An authentic leather elegant key ring is attached to that data cable. 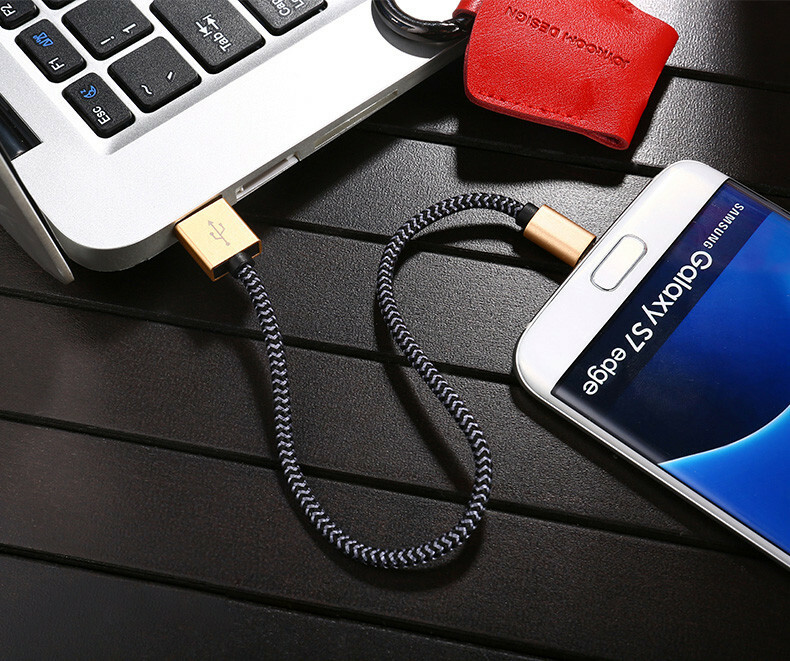 The Chord is covered with silver and black yarn in order to give it an extra secure layer. 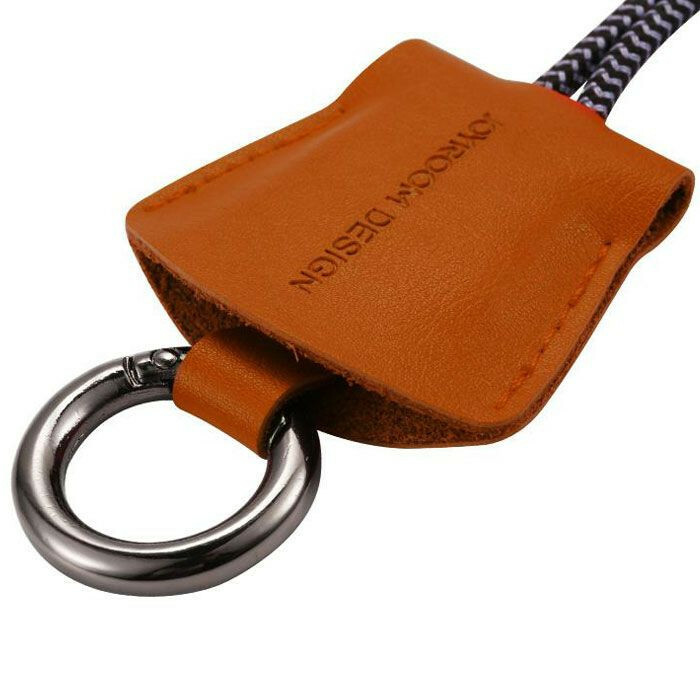 An attractive Joyroom design is carved on the luxurious leather key ring.